Again, to save us both from writing and reading the same thing over and over again, unless specified each pic is of three coats + Seche Vite. 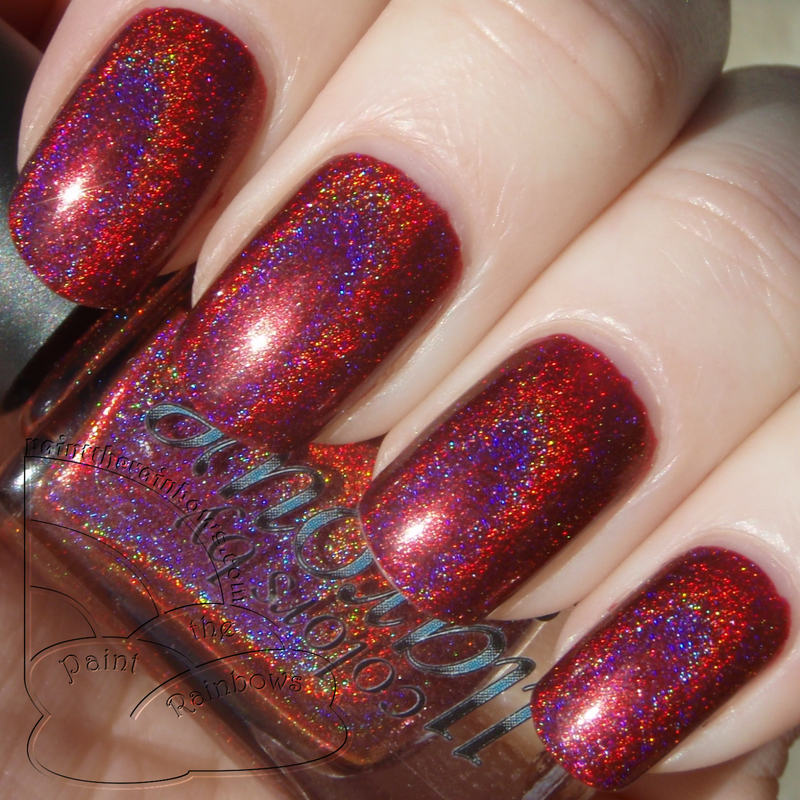 Dora the Explora (aka Cherry Bomb) is a deep red jelly base full of various sparkly hexes and large holo dots. This one is actually deeper in color than the photos show - I remember thinking it was more vampy than bright, on my skin at least. I love the sparkle to this one, and how the glitters peek through the jelly base. Piece of Me is a dusty teal holo. This is a creme-based holo so the rainbow is a little more subtle but super lovely. I don't believe I have any other holos quite this shade of teal, so definitely unique in my collection! It's Spring Somewhere is an orangey-coral jelly packed with golden shimmer. This one is a little sheer so I used four coats here. As I am sure most of my US readers know weather has been absurd all over the country this winter, so I took the opportunity to wear this baby on one of the 50 degree days in a sea of -10 ones. And cheerful and springy it definitely is! I don't typically wear oranges that much but I love how bright and shimmery this one is. 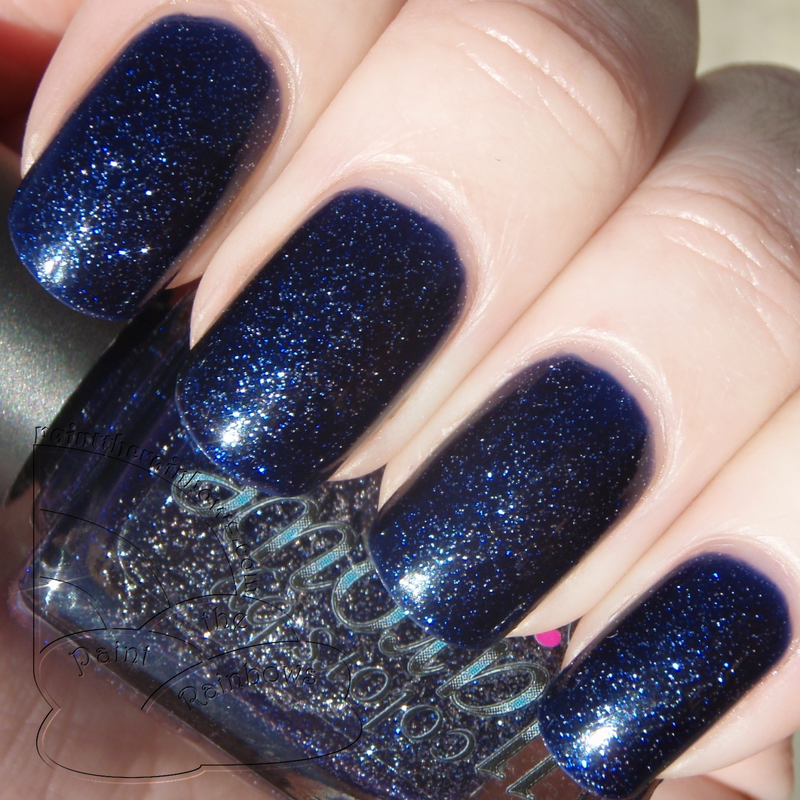 Twinkle Twinkle Little Star is a deep navy blue jelly packed with silver microglitter. 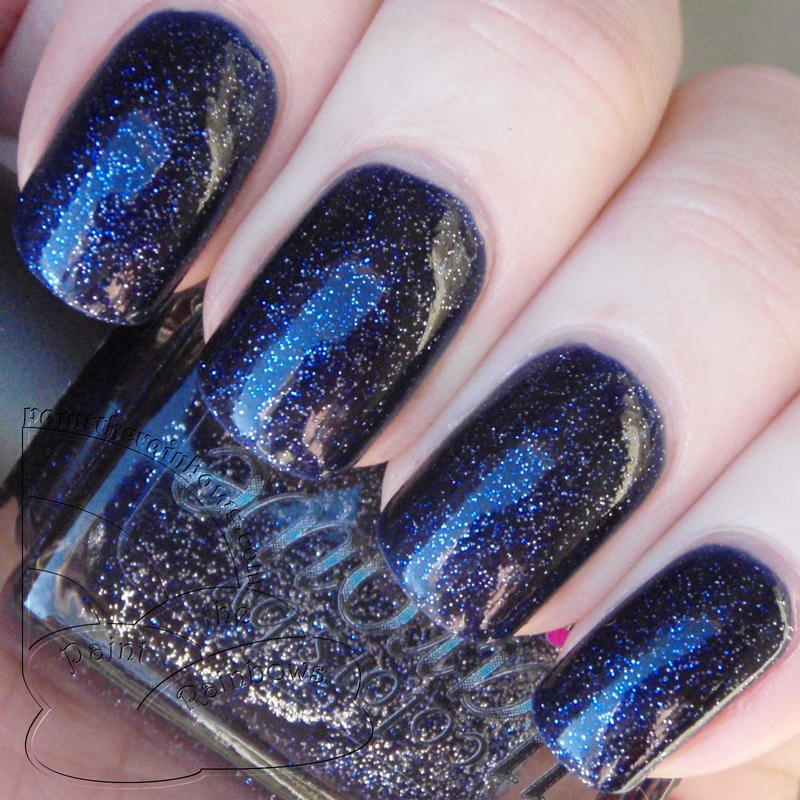 This one is meant to be a dupe of the much-coveted and equally difficult to find Essie Starry Starry Night. I actually do have SSN, but have yet to compare them on my own - check out Pointless Cafe's review to see how they match up. It definitely does look like a twinkling night sky - super pretty! I recall SSN being much more difficult to work with as well (sheer and runny), so it honestly might be better than the original, since it has a great formula. 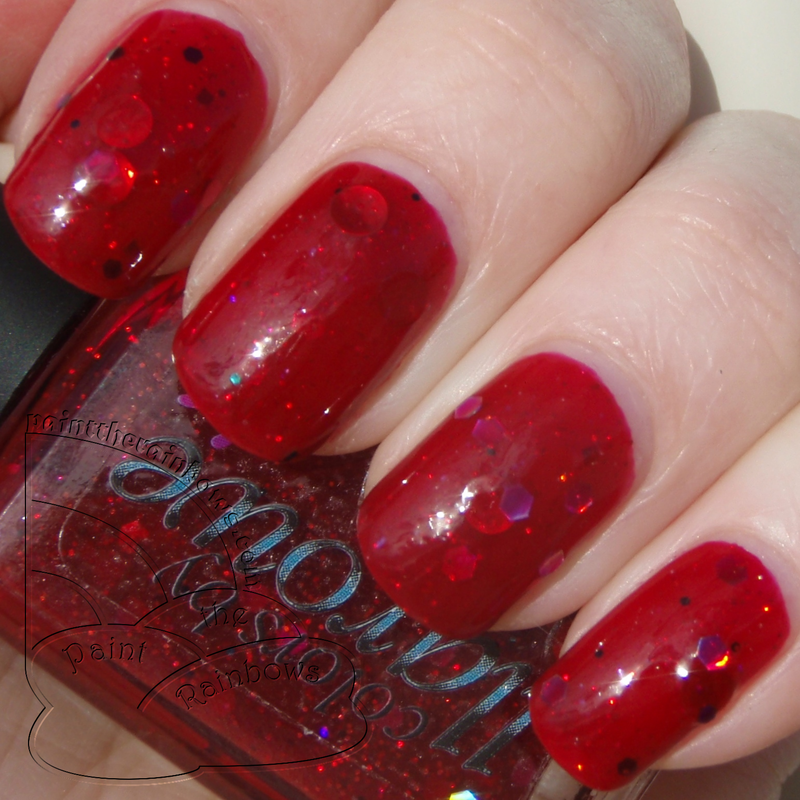 And lastly for now, Vamp is a deep red holo. Vampy it is for sure! 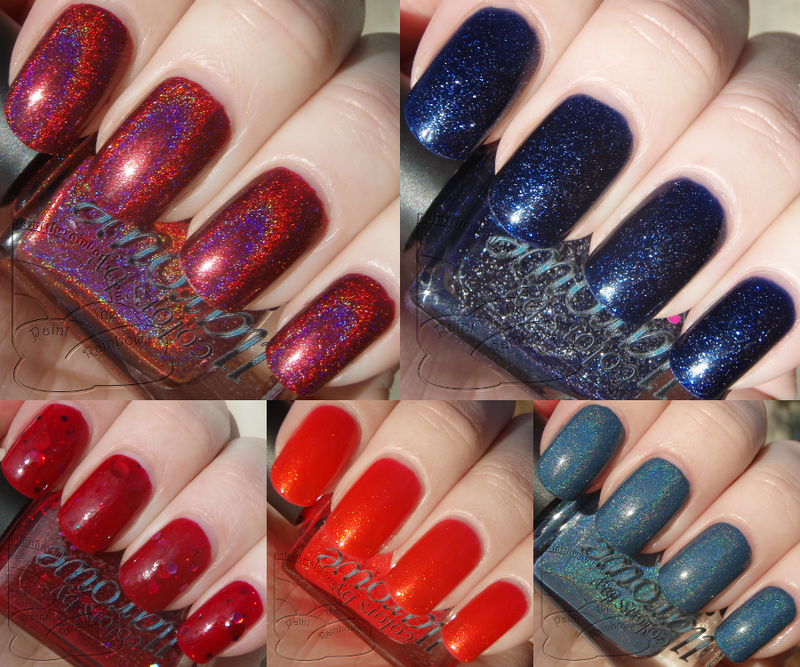 Nothing much to say here; it has a crazy holo effect and a great formula, like pretty much all CbL holos I have tried. And that's that! I am totally enamored with CbL these days - plan on taking a bit of a break in the next two weeks to do all Valentine's, all the time, but can't wait to play with more of these pretties soon!